Fabulous black cuban heel boots for men. These are zip-up winkle picker boots with stitching to the upper vamp and side. There is a pull up tab for ease of getting on and off. The heel is 45mm high. Want to know who was famous for wearing these? Scroll down for more info. 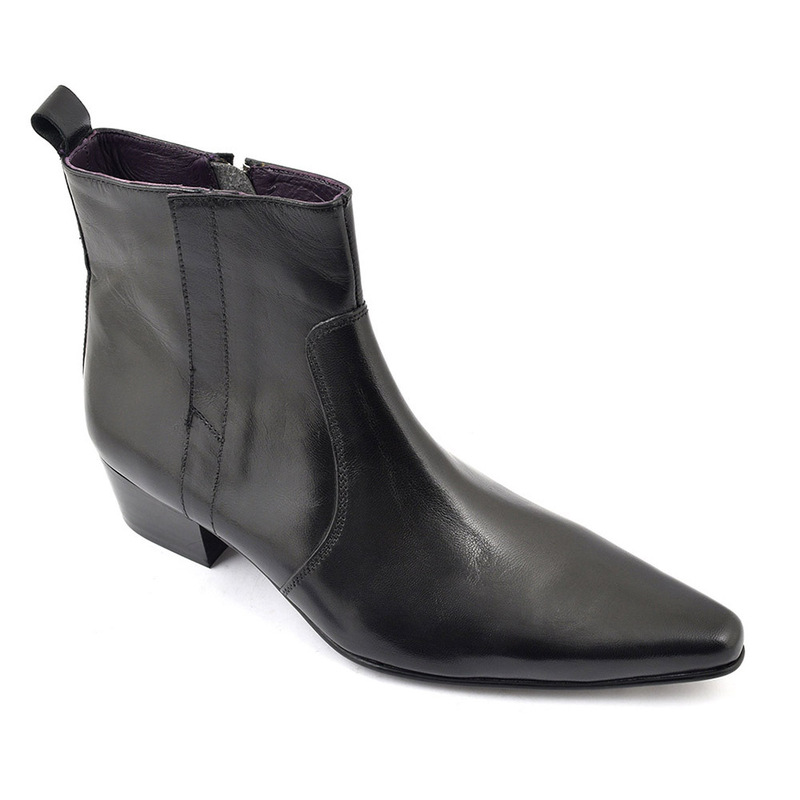 Archetypal rock god black heel beatle boots for men who love an alternative look. This mens pointed toe boot is known as a winkle picker and believe it or not, the name comes from picking winkles out of shells with sharp objects. The humour has not been lost as they are also known as beetle crunchers and mosquito chasers. More debauched is the term brothel creepers and its fitting in the sense that sub-cultures have taken on this pointed toe boot with gusto. From the 50s, mods loved to ride their mopeds in them ( apparently the height was good for protecting the ankle form the exhaust). Rockabillies, punks and goths all have a penchant for them too. 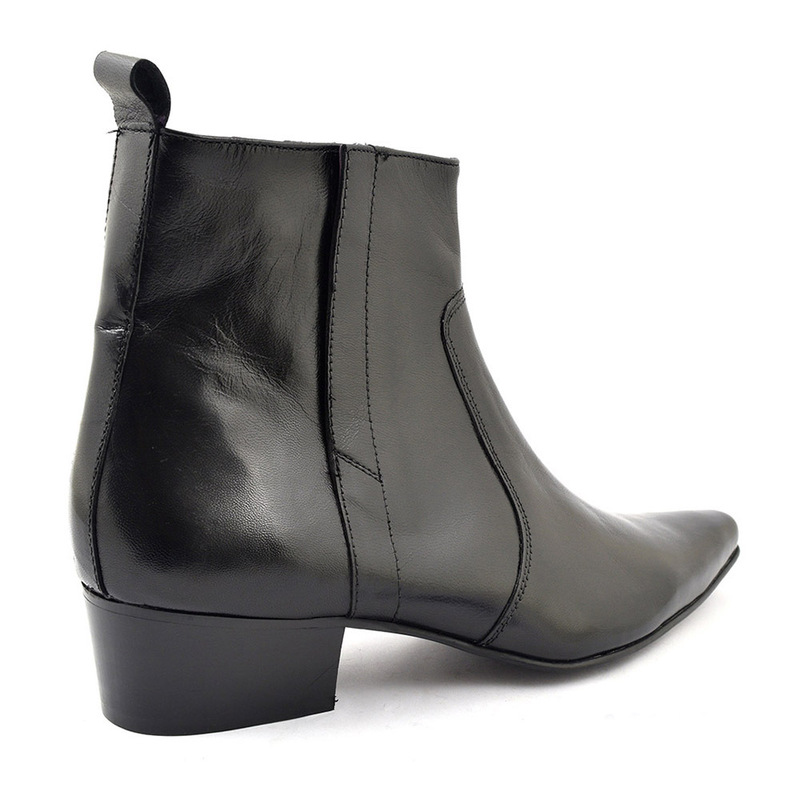 This particular boot has a black high heel and it was The Beatles who made these famous when shoemakers Anello and Davide were commissioned to make a mens chelsea boot with a heel. 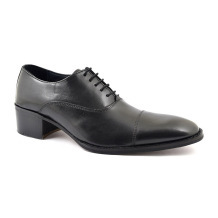 Not just any heel, a cuban heel. 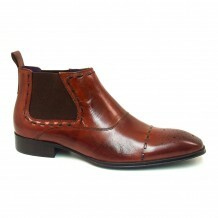 This cuban heel or beatle boot became the fashion look of the era for younger cooler kids. 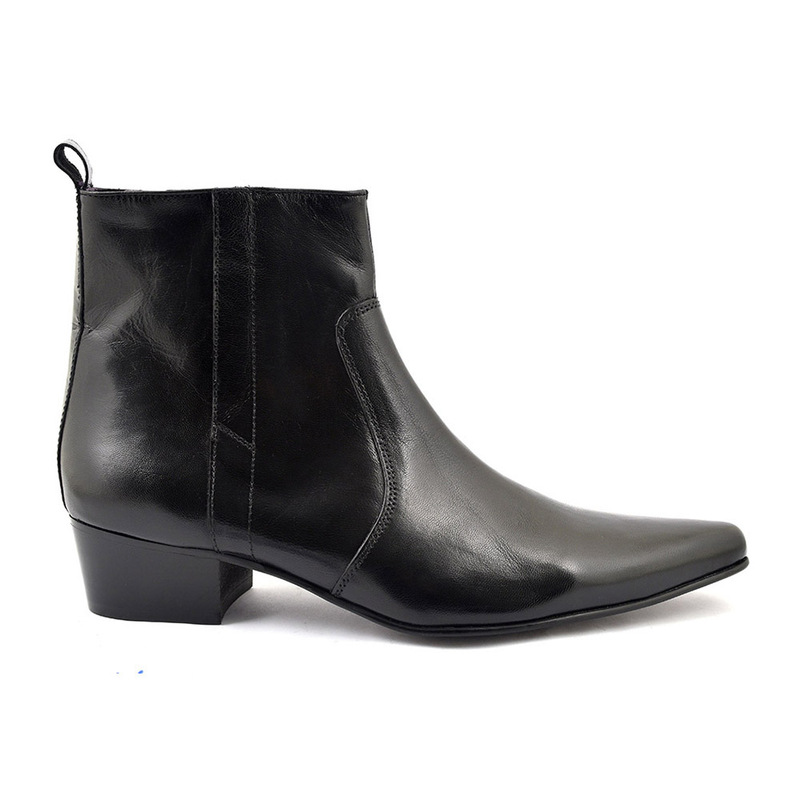 We love the contrast you can get with this heeled mens boot: a modish look in a smart suit or an edgy grungy feel with tight denim jeans. Many modern bands have shown their love of the winkle picker like The Kills and The Horrors. For a more androgynous dandy feel take Prince or Noel Fielding. 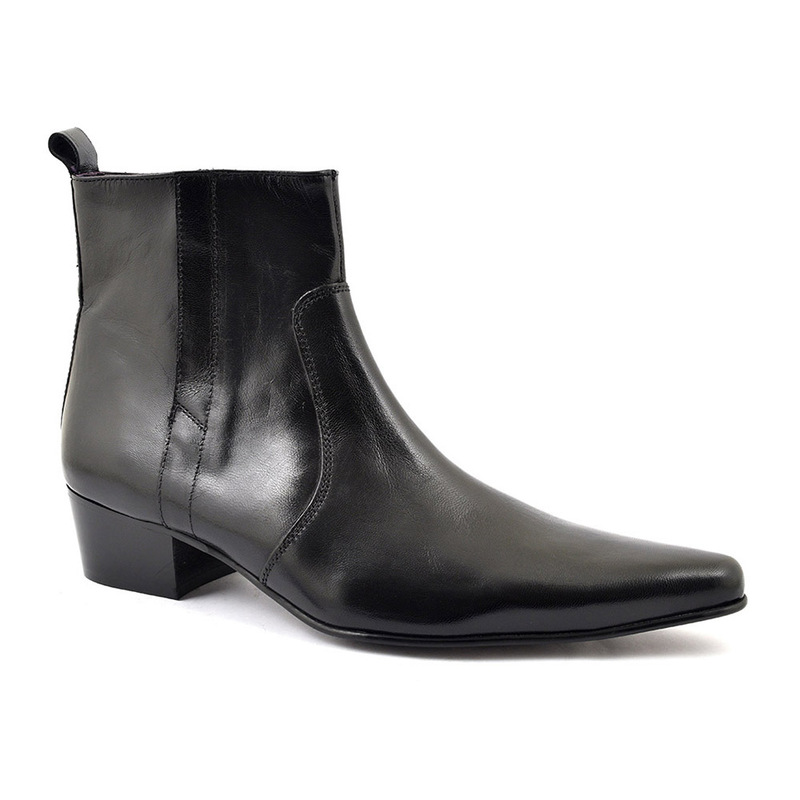 There is no question that this mens black cuban heel boot will add a cool edge to your outfit and give you the originality that you desire. Whatever your look, wear these beatle boots with confidence. 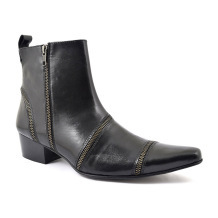 Be the first to review “Alvares Black Heel Beatle Boot” Click here to cancel reply.